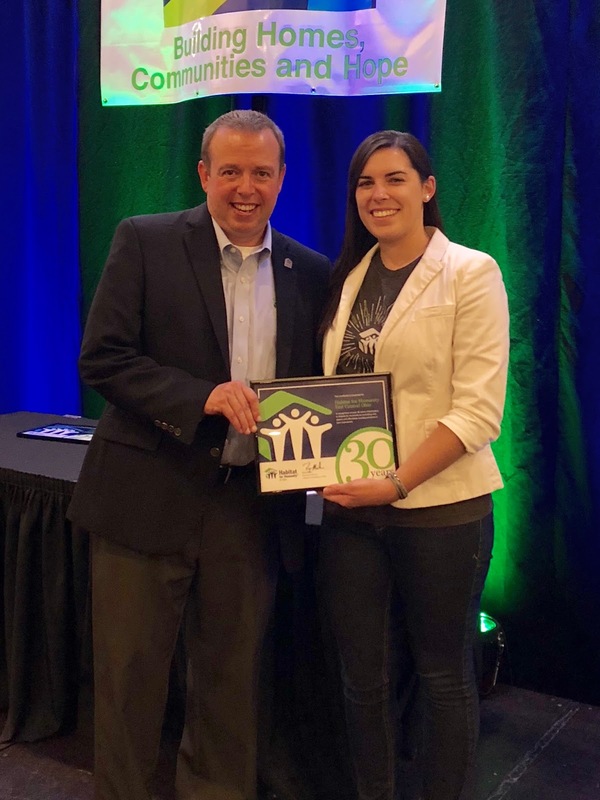 Kayleigh Hartman `13 celebrated 5 years as of June 2018 as the Family Partnership Coordinator at Habitat for Humanity East Central Ohio (based out of Canton). She had the privilege of representing her chapter of Habitat at the annual Habitat State Conference in Columbus in early November 2018. At the conference, she accepted an award on behalf of Habitat ECO for celebrating their 30th anniversary. Kayleigh also was honored to be selected as a conference presenter. She led a session highlighting the benefits of homeowner education and sharing the educational curriculum (House2Home) she co-wrote and implements with the families enrolled in Habitat's home ownership program. Kayleigh is passionate about the work she does building homes, communities, and hope through the ministry of Habitat for Humanity. She currently resides in Canton, Ohio.